Reduces administration costs associated with data input and reporting by up to 90%. Maximises revenue opportunities for local councils. Potentially reduces the risk of litigation by automating the reporting processes associated with monitoring of Onsite facilities. Ensures efficient, safe and private collation of data for your onsite facility owners. Meets state reporting obligations with immediacy and accuracy. Assists in ensuring the health and safety of the community. Makes the legislated requirement of maintaining a register, reporting and monitoring of wastewater treatment facilities simple, easy and effective. Automatically builds and maintains a detailed register allowing you to focus your resources elsewhere. local councils and service agents and inspectors. The Onsite Management App (OMA) has been developed to provide a cost effective, real time method of assessing the efficiency of individual Onsite Wastewater Treatment Systems (AWTS) to meet the desired goals of safe sewerage treatment on un-sewered properties. It also builds a detailed historic database of the systems performance over time. 60-80%* of onsite waste-water treatment plants in Australia may be faulty. This means dangerous water is being pumped into backyards where kids are playing and pets are drinking. 1. Makes compliance and testing of onsite waste-water systems quick, simple and thorough for service agents and inspectors. It reduces the cost of performing a water analysis test from hundreds of dollars down to a few cents. 2. 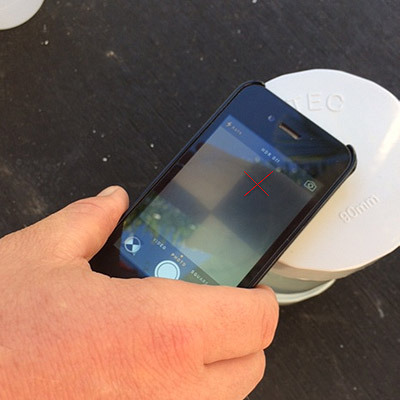 Uses a patent pending technology to assess the quality of a water sample by simply taking a photo with a smart phone. It makes the legislated requirement for reporting and monitoring of waste water treatment systems simple and effective. 3. Eliminates the need for handwritten reports and manual entry by council staff, improving data accuracy. 4. Provides real-time searchable data to council on the performance and compliance of waste-water facilities. 5. Enables council to easily meet their legislative requirements to maintain a register of facilities in their area. 6. 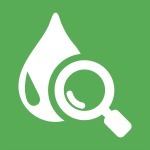 Provides a custom reporting engine that can identify areas or system types needing attention. OMA Onsite management app uses a patent pending technology to provide an indicator of the quality of a water sample by taking a photo with a smart device. Follow the steps to see how it works.